It’s hard to believe now, but in 2001 it really seemed like Mariah Carey’s career was over. Who could forget the five-time Grammy winner arriving unannounced at TRL pushing an ice cream cart? She was then briefly hospitalized and diagnosed with bipolar disorder. Her musical rom-com Glitter was released to negative critical reception and the soundtrack was pushed from its original date of August 21st to September 11th. Of course it was the day the devastating terrorist atrocities hit New York City. It would become Carey’s lowest-selling album ever. A new Reelz special is set to dissect Mariah Carey‘s “emotional and physical breakdown” that took place in 2001. 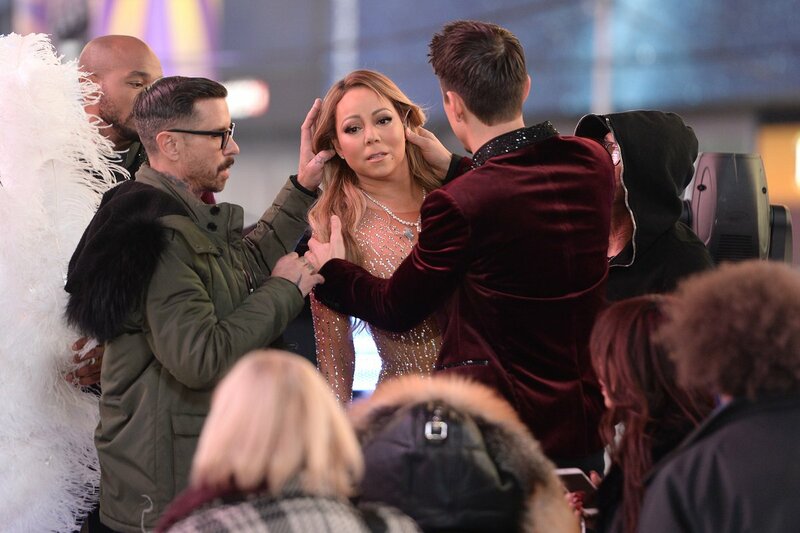 The series titled Mariah Carey: The Diva, The Drama takes an intimate look at what allegedly caused the star’s mental health issues. According to Radar Online’s preview, Carey’s mother was so concerned about her daughter she called 911. “She was very disturbed and manic. She was yelling, breaking a bunch of objects,” Carey’s brother Morgan claims in the documentary. Meanwhile Carey’s former boyfriend and producer Damion “Damizza” Young recalls a terrifying incident where she tried to jump from a moving car. “She didn’t feel safe anywhere,” Young tells the documentary. “It was so bad to where I said, ‘You have to go to the hospital. Watching your best friend try to jump out of a moving car…it was bad,” Young said.